Breathalyzer, breath tester, blow and go, IID – you have probably heard of an ignition interlock device before. Designed to keep DUI offenders from driving under the influence or driving while impaired by alcohol, these devices have become commonplace on today’s roadways, installed on the vehicles of countless individuals throughout Colorado and the U.S.
Before you can drive a vehicle with an IID installed, you need to blow into the device so it can determine if you have been drinking. As long as your BAC is below the NHTSA threshold of .025, the vehicle will start for you and you can begin driving. In Colorado, you are required to periodically blow into the device while driving. This is called a “rolling retest” and a sample must be provided within 5 minutes of the device prompting the driver for a breath sample. While the concept of the IID is fairly simple, finding yourself in a situation where you need to get one installed in your vehicle can feel overwhelming. The process can seem confusing and expensive, and it can be difficult to know which provider to go with. As your Colorado DUI law firm, we are here to help clear up some of this confusion – giving you the information you need to understand IIDs, so you can get your device installed, reinstate your license and get back to your day-to-day life. When are you required to get an interlock device? You will eligible to reinstate early after serving one month of revocation with ignition interlock, assuming you have no other restraints in effect at the time of the offense or at the time you apply for early reinstatement. Interlock Requirement length depends on BAC level. May be eligible to reinstate early after one month with either an 8 month interlock requirement (2 years for PDD Designation) or for the remainder of the longest restraint period and approved by the Department for early reinstatement. You will eligible to reinstate early after serving two months of the revocation with ignition interlock, assuming you have no other restraints in effect at the time of the offense or at the time you apply for early reinstatement. You will eligible to reinstate early after serving one month of revocation with ignition interlock, assuming you have no other restraints in effect at the time of the offense or at the time you apply for early reinstatement. The interlock device is wired into the ignition of your vehicle, so it is able to prevent you from starting the car if your BAC does not meet the programmed requirements of the device (Colorado has a BAC limit of 0.025). Once you blow and get the vehicle started, you will be required to do a “rolling retest” within the first five minutes of driving. The retest is to ensure that you didn’t get someone else to start your car for you or start drinking immediately after starting the car. 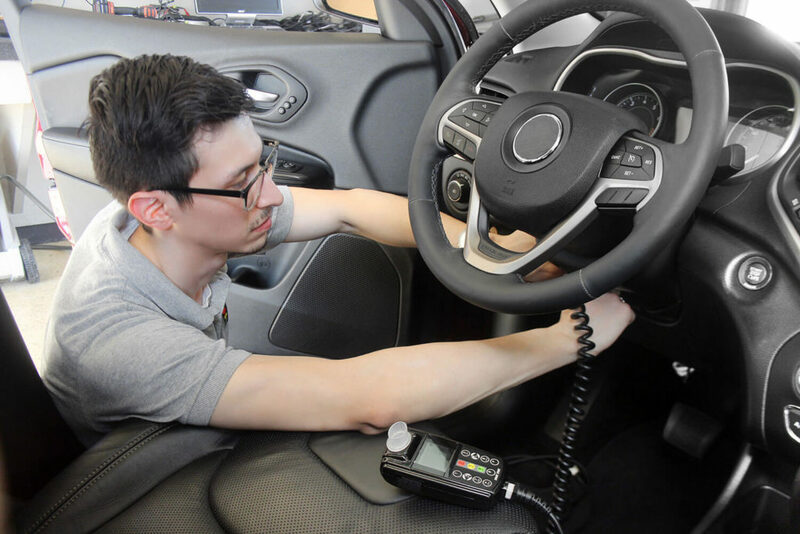 If you fail the rolling retest and do not immediately submit a passing test, the vehicle will go into “lockout” mode and upon turning off the ignition, you will not be able to start the vehicle again without first contacting the IID provider. It is important to remember that most interlock providers charge extra fees for clearing lock-outs, removing the IID, and for monthly service downloads which are required at least once every 60 days. You are either a first-time offender with a violation date on or after January 1, 2009 or have been designated as a persistent drunk driver completing your initial interlock installation on or after January 1, 2014. You are Lawfully Present in the U.S. and a Colorado resident. You were an adult driver (21 years of age) at the time of the violation. Your Federal Adjusted Gross Income (FAGI) on the State of Colorado tax file falls within a predetermined percentage of the current year Poverty Guidelines established by Health and Human Services. In addition to getting the device installed, you will also be required to have the device inspected by the interlock company at minimum, once every 60 days. Getting the device inspected is extremely important if you want to remain in compliance. When you fail to get the device inspected within the 60 day period, your lease is subject to termination and you could have your license suspended for non-compliance. If your lease is terminated then you will have to go through the process of getting a new lease, which means a delay in meeting your interlock requirements, the suspension of your license and eventually the extension in getting the device removed. Each time you have the device inspected the interlock provider will download all the data and information stored on the device, including all the attempts to blow in the device, all missed tests, aborted tests and the photographs taken with each attempt. Your provider will let you know about all the detected lockouts, failed BACs and tampering recorded by the device. The provider will also provide this information directly to the DMV. Should you fail a BAC in three reporting periods within any 12 month consecutive period, your interlock restriction will be extended, up to one year for each set of three fails. Your license may also be suspended if you fail to comply with any imposed period of extension. If you are interested in early reinstatement, please contact the Colorado DMV to discuss your situation with their reinstatement department. If you are a client of Tiftickjian Law Firm, we will walk you through the reinstatement process step-by-step and ensure you have the forms and paperwork necessary to reinstate your driving privileges as soon as you are eligible. Which ignition interlock provider should you choose? Not every ignition interlock provider is the same. Some companies are better than others, and you want to choose the best option. Considering how much is at stake, and how long and how frequently you will be interacting with your provider, you want a dependable company for your provider. Providing the best customer service.The IID technology is the same across the board. All IIDs are fuel-cell technology that has its limitations in detecting where the alcohol is coming from – consumption, ambient conditions or mouth-alcohol. Knowing this, one of the key factors to consider in choosing an IID provider is customer service. If problems arise, you want a provider who is responsive and attentive to your needs. You also want a provider who is flexible and willing to work with you and your schedule. In our experience, Smart Start leads the class in this category. Device Reliability.In our experience Smart Start has some of the most reliable devices and our clients typically report less problems with device function and sensitivity than the other providers. Smart Start has over 50 locations throughout Colorado, and does not charge extra for receiving service at different locations. Pricing is straightforward, with no hidden fees. Smart Start also offers Free Installation for most vehicles. 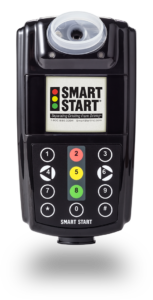 If you need an ignition interlock device, please get in touch with Smart Start. And as always, if you need any assistance with legal matters related to your DUI, please contact us at Tiftickjian Law Firm. Our firm is here to help.